"This is a delightful book, full of interesting aspects of animal welfare. An excellent guide to the academic study of animal welfare science." 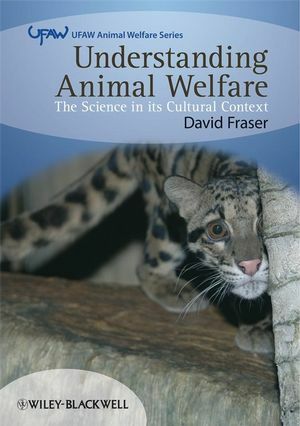 Understanding Animal Welfare: The Science in its Cultural Context takes a completely fresh and thought-provoking approach. It is essential reading for anyone interested, studying or currently working in the fascinating field of animal welfare science. David Fraser places modern-day welfare issues within their historical framework by tracing the evolving ideas that led to current thinking. He also highlights some intriguing issues relating to the contradiction inherent in the term 'animal welfare science' and the practical problem of how to assess emotional states in animals. Encompasses ideas from a variety of disciplines to give a broad perspective of the topic. Discusses methods of measuring animal welfare and their strengths and limitations. Examines contemporary debates and applications of the science to policy issues. "... an impressive historical narrative of the genesis and growth of animal welfare as a scientific discipline.... The book will be invaluable for anyone involved with animal welfare issues on an academic level or those involved with the integration of these principles into current care and handling issues facing agriculture, companion, laboratory, wild, or zoo animals." "Fraser offers insights only possible from someone with his considerable experience and understanding." This book is part of the UFAW/Wiley-Blackwell Animal Welfare Book Series. This major series of books produced in collaboration between UFAW (The Universities Federation for Animal Welfare), and Wiley-Blackwell provides an authoritative source of information on worldwide developments, current thinking and best practice in the field of animal welfare science and technology. For details of all of the titles in the series see www.wiley.com/go/ufaw. David Fraser is one of the pioneers of animal welfare science. He has published widely on animal welfare research, its practical applications, and its philosophical basis. He is currently Professor and NSERC Industrial Research Chair in Animal Welfare at the University of British Columbia, Canada, and serves as an advisor to many international organizations. An impressive historical narrative of the genesis and growth of animal welfare as a scientific discipline. Written by one of the pioneers of animal welfare science with considerable experience and understanding of the issues.